The Daily Photo- January 5th, 2016. I was attracted to this low angle, “golden hour” light while on a recent photo trek. Decided that the converging perspective point of view was the way to go. This shot took a little bit of time to decide upon when I was out looking for images to capture. I knew I wanted to something that highlighted the off angle sunlight of the late afternoon, but wasn’t immediately seeing something that grabbed me. 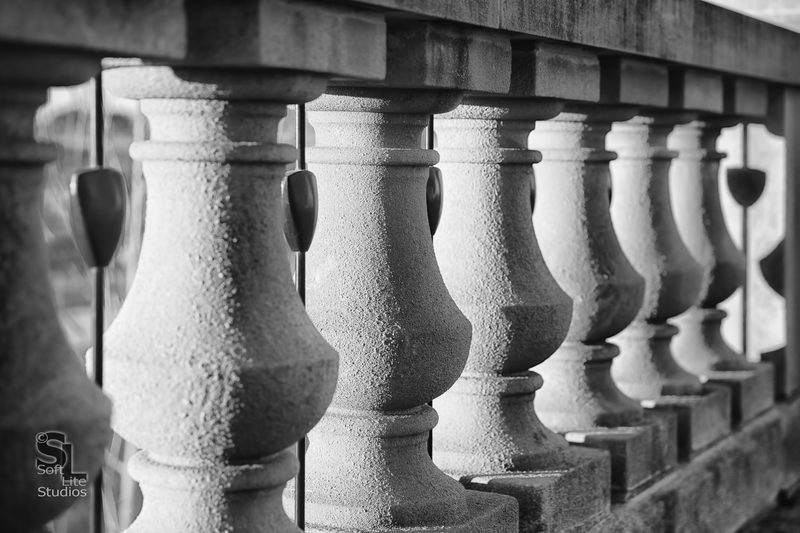 Once I noticed the texture in the balustrades it was just a matter of finding a visual angle that I felt worked well with the overall composition. Reflecting back on the exposure settings for the image, I really could have knocked the ISO down to 100 and likely gotten a cleaner overall image…something to keep in mind next time!